This diagram shows how a rocket nozzle works. A rocket is just a big source of hot burning gas coming in from the left. The nozzle is smaller in the middle. 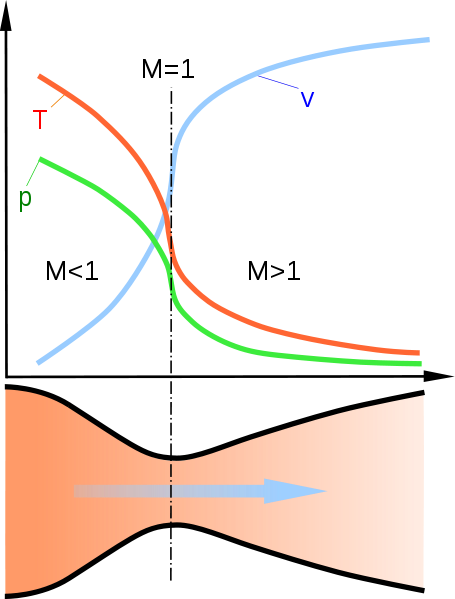 The small part is a junction that causes hot, high-pressure gas to convert all of its heat and pressure into volume (remember, PV = nRT). The increased volume of gas has to move through the nozzle opening on the right because there's a constant stream of new gas coming in from the left. Volume and velocity turns into thrust. That's all there is to it. Compare that rocket nozzle diagram to this one of a jet engine. The same physical laws are in effect. The only difference between a rocket engine and a jet engine is a jet produces the constant stream of hot gas by using a gas turbine engine. If that's the case, why isn't a plain old piston engine good enough to produce a bunch of hot gas to pass through a nozzle? That's what comes out of the exhaust pipe of a car, right? Indeed, this is possible. It's called a motorjet. You just take a plain old piston engine, pass its exhaust through a gas compressor like the one in your refrigerator, and then send that gas through a nozzle to convert heat and pressure into volume and velocity. The magic of jet engines, international commercial travel, space flight, etc is all in the design of the nozzle. The turbine engines on your average 747 are only means to an end – gas for the nozzle to turn into thrust. They're not crucial like the shape of the wings that keep the plane aloft. What logically comes next is terrifying. If all we need to fly fast is a source of hot gas, why not use the best source of hot gas available to mankind? I'm talking about the nuclear reactor, of course! 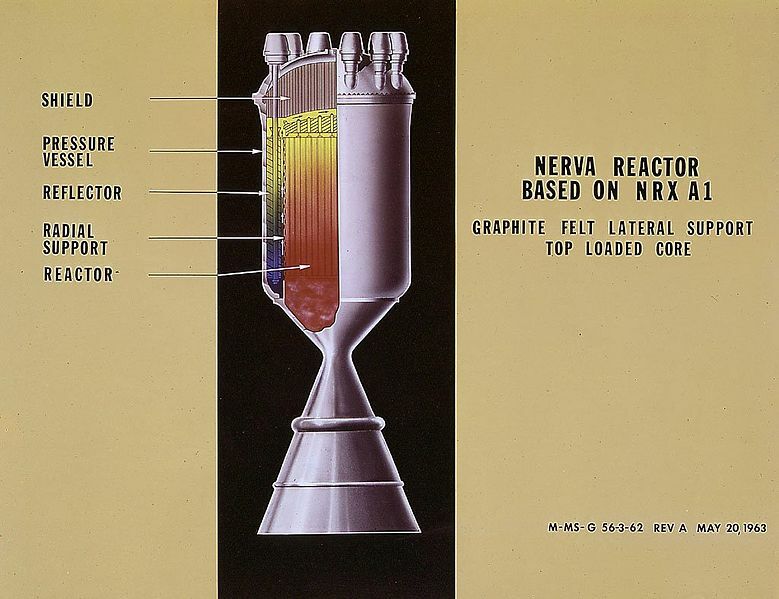 Instead of using a chemical fire (rocket) or gas turbine (jet) why not use a nuclear reaction to create hot gas and pass it through a nozzle to produce thrust? And indeed, nuclear rockets were built and tested in the 1960s – because, why not? My favorite part of this story is how the goal of these nuclear rocket engines was to keep bombers in the air for longer periods of time as a deterrent to prevent nuclear war. Having a nuclear rocket engine spew radioactive gas into the atmosphere was totally worth it for the safety of America. Right. Luckily for us they invented the ICBM and were able to retire the bombers and their dreams of nuclear aircraft. It's amazing that any of us are still alive today.